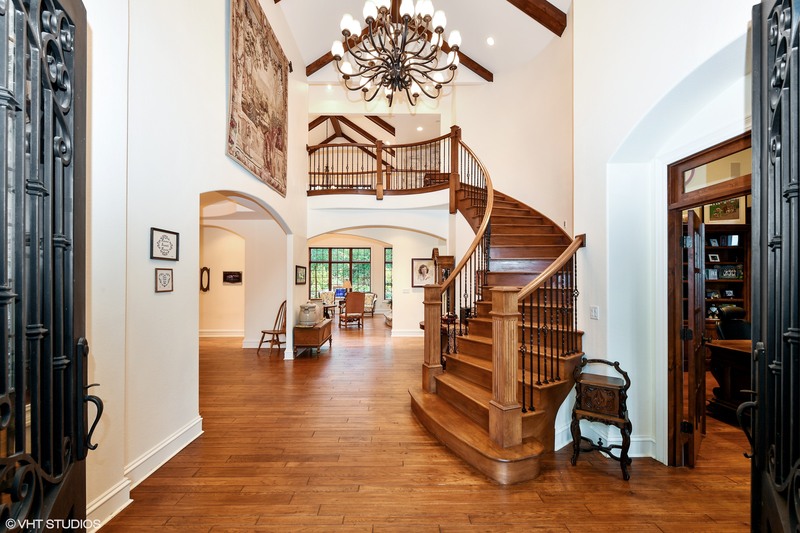 Luxury is what you will find in this custom home in Meadowdale Estates. This prestigious community located in the Village of Pleasant Prairie, Wisconsin, between Milwaukee and Chicago. Meadowdale Estates offers convenient access to shopping, schools and parks, in a country setting amid the surrounding beauty and wide blue skies. 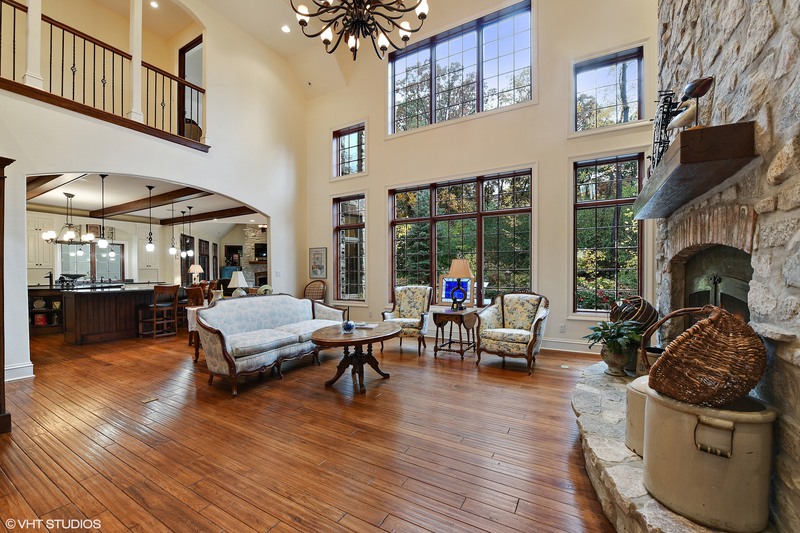 Beautiful views of the stone patio and surrounding private woods can be seen from all wings of the home. Each room has a warm and welcoming feel from the hand scraped hickory floors with in-floor heating to the four beautifully designed fire places. 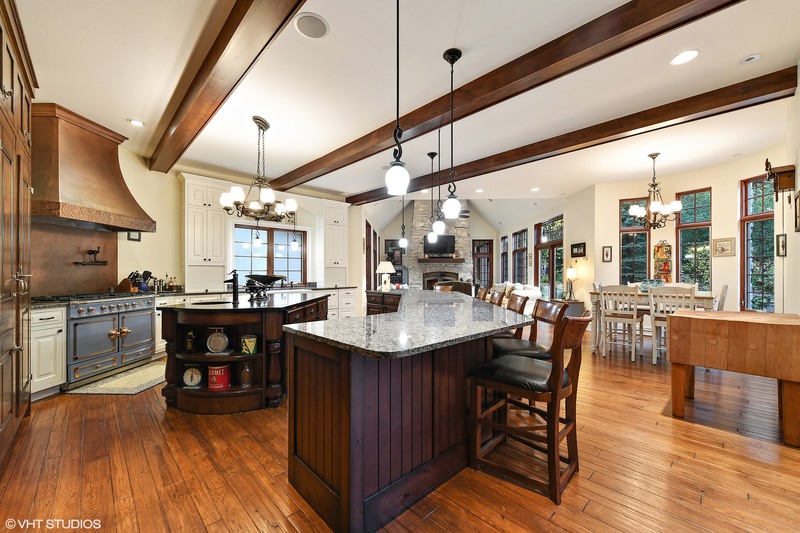 The kitchen is striking with a large breakfast bar with granite counter-tops throughout. This residence is well-placed in your own nature sanctuary on 1.72 acres and is ideally located so you can enjoy all the city amenities just minutes away. This home is listed with $1.5 million by @properties and is showcased by Luxury Portfolio.